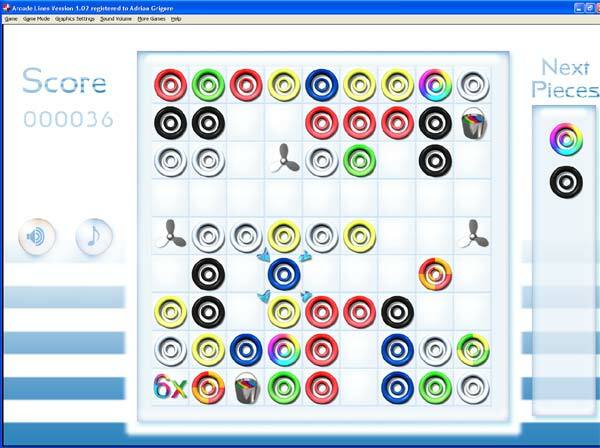 Arcade Lines™- Mind-bending puzzle fun will keep you hooked for hours! Arcade Lines is an extremely addictive puzzle game with brilliant graphics, popular pulsating music and a great variety of different game modes. It does not require fast reflexes and is even easy for kids to learn, but requires enough strategy to keep you hooked for hours. 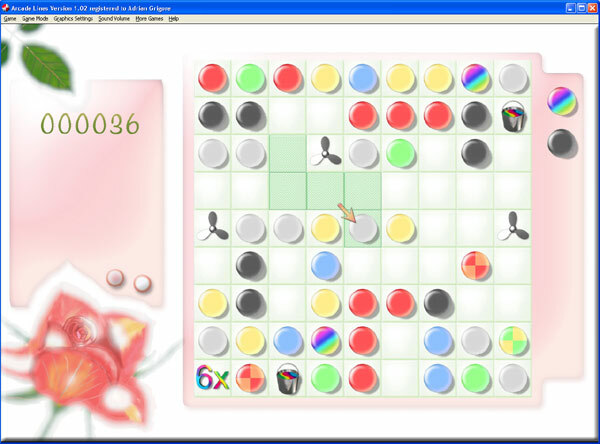 Arcade Lines is played on a board that fills with multi-colored pieces as the game progresses. 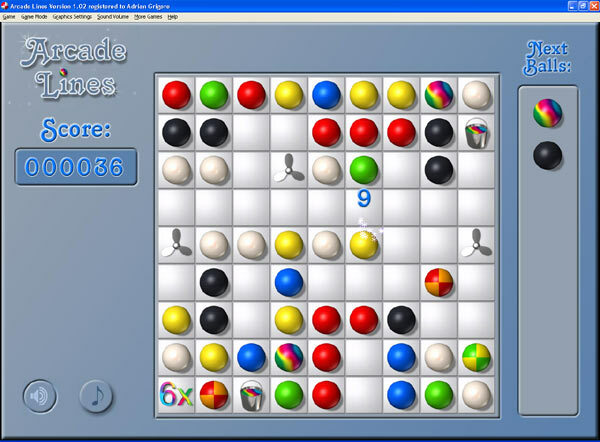 You have a very simple objective: Stop the board from filling up by forming rows of 5 or more pieces of the same color. The rows will disappear, leaving more space for new pieces. Build more lines in consecutive moves to get the combo bonus for a higher score. With every turn you may move only one piece, and only if there is a clear path to its destination. As space becomes scarce there are less useful moves to choose from, so the game gets gradually harder. Getting a high score by surviving as long as possible is a challenge for every Arcade Lines player. Your current game is automatically saved when you close Arcade Lines and resumed the next time you start it. That's why it is convenient to play it even during a coffee break. Watch out! The fan will blow your game pieces away. Dissolve the multiplier and get 3, 6, or even 9 times higher scores, Repaint surrounding pieces the same color using the color bucket And there are many more. 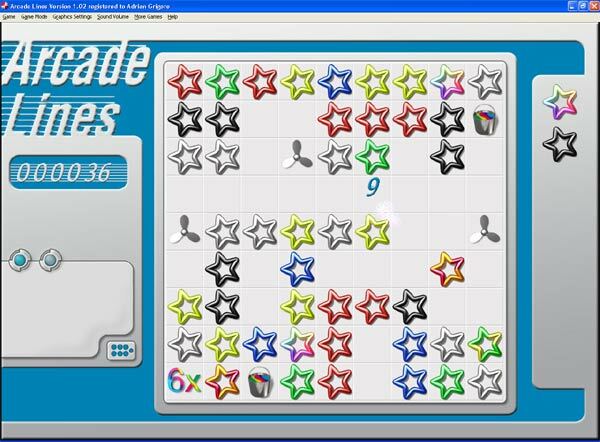 Arcade Lines features 6 different game modes, making sure that you will find exactly the difficulty level you want. In addition.